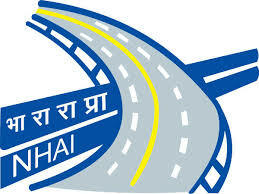 National Highways Authority of India (NHAI) has released an employment notification calling out aspirants to apply for the post of General Manager on deputation basis. Those interested can check out the eligibility, salary scale, how to apply and the complete details of the government job here. Selected candidates can earn up to level 13 pay matrix. The last date to apply for this government job is Feb 6, 2018. Step 2: On the left-hand side of the home page, click on the tab that reads, Vacancies. Step 4: Click on the document link against the text that reads, Advertisement for recruitment to 02 (two) posts of General Manager (Information Technology) on Deputation/Promotion in NHAI. Step 6: Scroll down to find the application form. Step 8: Send the applications to NHAI. GM(HR&Admn. )-I Plot No: G - 5&6, Sector - 10 Dwarka, New Delhi - 110075. Follow the link - http://www.nhai.gov.in/writereaddata/Portal/JobPost/1175/1_Advt._GM__IT_-new.pdf to read the detailed official notification.